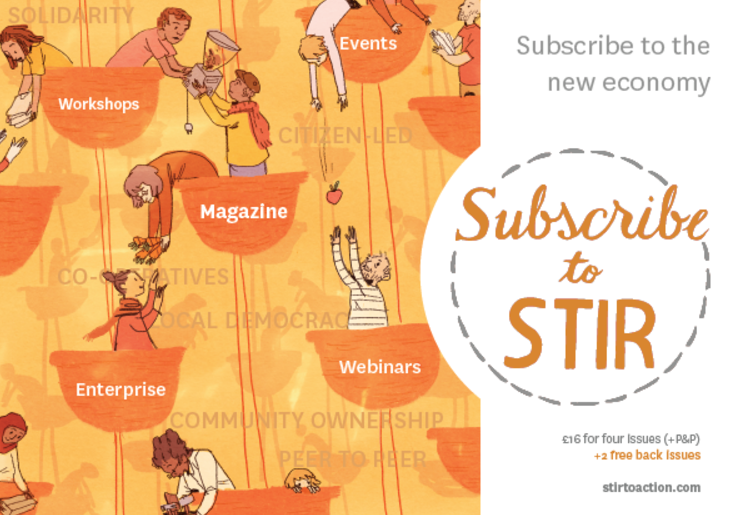 What does it mean to think like a 21st century economist? 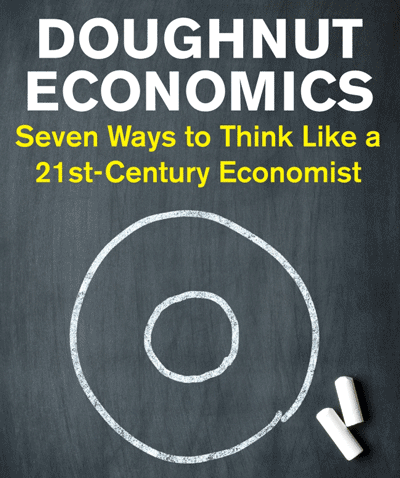 For Kate Raworth, the answer is to reject the mindset and metaphors of orthodox economic theory, and instead embrace Doughnut Economics. The Doughnut is a visual representation of the bounds of human existence: the social foundation needed for wellbeing, below which no-one should fall, and the ecological ceilings of planetary limits which we should not exceed. Raworth argues that if our 21st century goal is to live inside the Doughnut, we need to relearn economics, using the insights and practices at the cutting edge of new economic thinking. Many of the ideas which Raworth presents are not in themselves new—from GDP to wellbeing, from ‘externalities’ to the embedded economy, co-operatives, the commons and Green Quantitative Easing—but she weaves them together into a cogent whole. Every element of this whole is vivid. GDP is the cuckoo in the nest of economics, the embedded economy is depicted as a theatrical production, and Thomas Piketty is explained more clearly in one paragraph than Piketty himself managed in 700-odd pages. The most powerful moments of Doughnut Economics occur when Raworth addresses deep-seated beliefs about the economy head-on. Inequality is not an inevitable outcome of economic laws of nature; it is a design failure, and we can and should design it out of the system. Rational, autonomous homo economicus is a myth; humans are inherently interdependent, shaped by social norms, and embedded in the natural world. The household is core to the economy, and must be valued as essential both to human wellbeing and the functioning of wider society. Readers seeking an economic mega-theory, a first principle from which all economic actions descend, will not find it in this book. For Raworth, visual representations are key: tropes such as the Circular Flow diagram have framed the way we understand and talk about the economy, which in turn sets the limits of belief and action for governments and policymakers. Raworth wants to reveal and challenge the power of visual framing, and to offer us a positive alternative vision of our economic future. Given the strength of her argument, the visual elements of this book are too muted for me. I want to see new economic thinking in glorious technicolour, leaping out of the page, rather than black and white line drawings. Readers seeking an economic mega-theory, a first principle from which all economic actions descend, will not find it in this book. Raworth argues that the economy is a complex, dynamic system, an organism rather than a machine. Economists need to “discard the engineer’s hard hat and wrench, and pick up some gardening gloves and pruning shears instead.” Systems thinking requires a degree of intellectual humility, but in exchange offers huge opportunity: rather than trying to predict and control behaviour, policy becomes a process of experimentation and evolution. Initiatives such as complementary currencies and open source design are not fringe activities, but the leading edge of economic transformation. Using a mixture of theory, practice, storytelling and visuals, Raworth offers a picture of an economy which could genuinely sustain people and planet. For those of us working on details of the picture, Doughnut Economics offers a sense of coherence—not a tidy jigsaw into which every piece fits perfectly, but a thriving ecosystem in which the practitioners, campaigners and participants in the new economy experiment, learn, connect and grow. This is a book of hope for all of us trying to build a better future. Anna Laycock is Executive Director at the Finance Innovation Lab, where she leads our overall strategy, business model, governance and public profile. She develops new projects and partnerships, represents The Lab to the media and funders, and ensures the Lab team and Board have what they need to use their talents to the full. Published in STIR magazine no.18, Summer 2017.